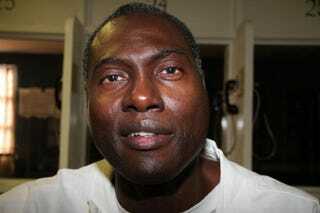 In 1977 Jerry Hartfield was convicted of murder. Three years later his conviction was overturned due to problems with the jury selection process and he has been in prison ever since. In April, a judge ruled that Hartfield must remain in prison because he did not actively seek a new trial at the time his conviction was overturned. This seems problematic to me at the best of times, but when you add in the fact that Hartfield's IQ is estimated to be 51, the judge's ruling seems particularly cruel. I am not a judge or a lawyer but it also seems to me that if one is innocent until proven guilty, it should be up to the State of Texas to seek the new trial, and since they haven't, he should be released.